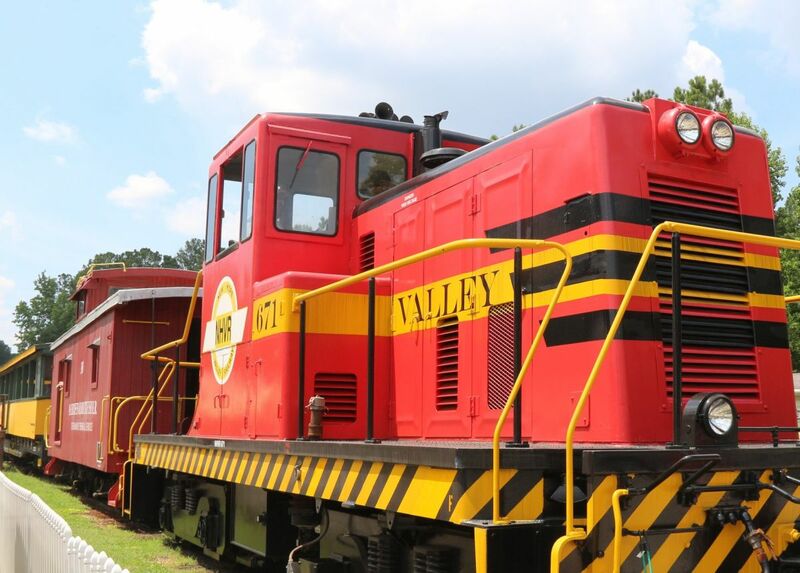 Ride a real train on Sat., Sept. 28, during New Hope Valley Railway's (NHVR) final weekend excursion of the 2019 season. In addition to a train ride, our family-friendly event will have food available for purchase from Get Buffaloed food truck and adults ages 21+ can enjoy craft beer from Fortnight Brewery. Food and drink are not included in train ticket price. Free short tours of the North Carolina Railway Museum are planned to begin 45 minutes before each train departure time and the Garden Railroad (G Scale) will also be operating. All Brew 'n' Choo events are family-friendly fundraisers that benefit projects at the railway. Our Sept. 28 Brew 'n' Choo benefits our Goldston Depot restoration. Trains depart at 2, 3, 4 and 5pm. Visit www.TriangleTrain.com to purchase tickets. Train excursions typically run about an hour with trains departing from NHVR's rail yard in Bonsal and traveling eight miles round trip. NHVR's rail yard is located 30 minutes from Raleigh off Old U.S. 1 South on the Wake-Chatham county line.